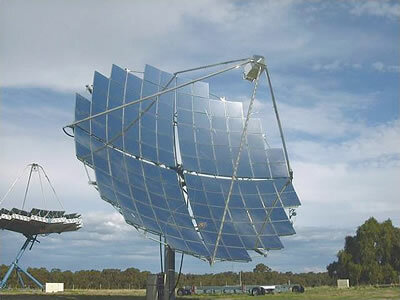 This pioneering project used parabolic dish concentrators to focus sunlight on high efficiency photovoltaic solar cells to produce electrical energy that supplemented remote diesel grids. Selectronic Australia developed a custom designed 70kW interactive inverter to feed the power generated by the dish concentrators into the local power grid. “Cloud smoothing” and backup functions were included to allow the power system to maintain compatibility with the local power supply.